Check Rates & Availability at Holiday Inn BIRMINGHAM - HOMEWOOD! The newly renovated Holiday Inn Hotel Birmingham-Homewood invites you to an oasis of luxury, comfort and service. Enjoy upscale accommodations in the brand new Holiday Inn Hotel Birmingham-Homewood. Located conveniently near Birmingham International Airport, we designed each of our 108 beautifully appointed guest rooms to make your stay comfortable and productive for business or pleasure. Stay conveniently near downtown and several major corporations such as State Farm Insurance Company, Regions Bank, Wells Fargo and Alltec Industries. Enjoy easy access to well-known attractions like the Botanical Gardens, Birmingham Zoo, and the Civil Rights Museum. Nearby shopping and entertainment includes the Galleria Shopping Center, Barber Motorsports, EWTN, the BJCC, the Birmingham Race Course, and Legion Field. Planning a group trip? Use our special package that includes a guest reception, special group recognition, and group rates for sports teams, family reunions, wedding groups, and Barber Motorsports Event Group. 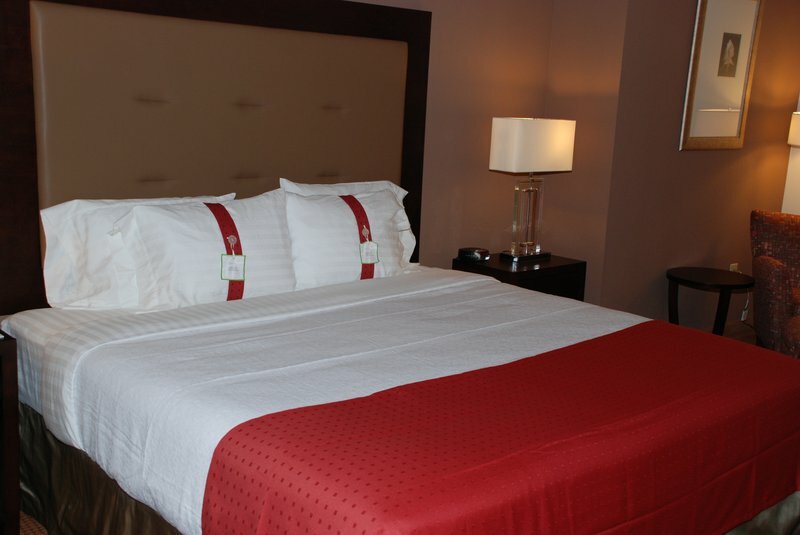 Make the most of your trip to Magic City after a restful nights sleep in your spacious guest room or suite. Relax and enjoy the gorgeous view in the indoor heated pool. Store and prepare food in your rooms refrigerator and microwave, and enjoy a flat-screen television and an ergonomic chair. Dont worry about a thing when you visit us at the Holiday Inn Birmingham-Homewood. Kem's serves savory breakfast and dinner options, and offers a full bar along with a select menu of Starbucks beverages.